"Weird Al" Yankovic, the biggest-selling comedy artist in history, has often incorporated bowling into his music, his videos, and his cult-hit feature film, UHF. In advance of the release of his new, career-encompassing box set, Yankovic spoke with BJI's Jef Goodger about his career and his affinity for bowling. 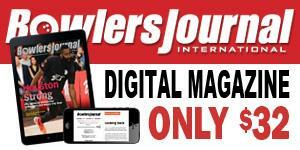 Below is an excerpt from Goodger's story, which appears in the February issue of BJI. It’s funny because it’s true. 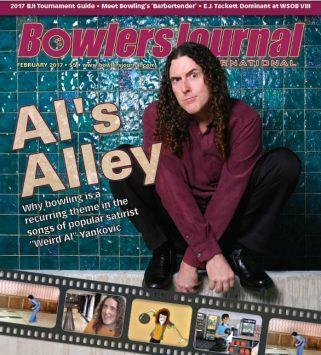 If there were one activity Yankovic would want to do with the gangstas, there’s a good chance it would be to bowl. He was rolling a bowling ball before he was squeezing an accordion. The latter eventually took precedence, but the former never left him, as we can see throughout his entire body of work. 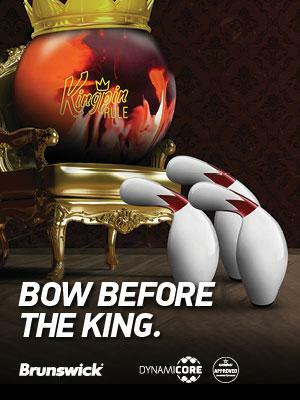 Popular culture has always had an interest in bowling, even if it’s usually presented in a supporting role. Every sitcom, past or present, features the sport in at least one episode. The Big Lebowski, although not a bowling movie, highlights the game prominently as a backdrop. Television commercials purporting to sell a carefree attitude put smiling actors on the lanes to hawk anything from pharmaceuticals to digital cameras. When confronted with a pop-culture phenomenon such as this, there is only one place to turn: “Weird Al” Yankovic, the biggest-selling comedy recording artist in history and undisputed king of pop culture who happens to have a sizeable affinity for bowling. Throughout his career, which is now in its fourth decade, Yankovic often has incorporated bowling into his music, videos and his cult-hit feature film, UHF. Coming off the immense success of 2014’s Mandatory Fun, the first comedy album to debut at #1 on the Billboard chart and the first in more than 50 years to even reach the top spot, Yankovic is marking the end of an era with Squeeze Box: The Complete Works of “Weird Al” Yankovic, a career-encompassing box set to be released by Legacy Recordings and PledgeMusic this November. Naturally, I seize the opportunity of such a career-spanning milestone to talk to Yankovic specifically about his penchant for referencing bowling so often over the years. It’s no surprise that it’s no coincidence. Born and raised in Lynwood, Calif., Yankovic fondly recalls plenty of childhood weekends spent on the lanes with his aunts and his grandmother. It was a big enough deal that, less than 20 miles away in Venice, eventual PBA Hall of Famer Randy Pedersen was doing the same thing. Yankovic is five years older than Pedersen, and — as best as we can tell — the two never ran into each other during those weekend sessions. However, they both used the experiences, in different ways and to varying degrees, to help rise to the pinnacles of their respective careers, Pedersen winning 13 PBA Tour titles and Yankovic winning four Grammy awards among 15 nominations.